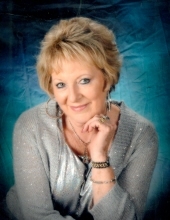 Sharon E. Everett, 74 of Butler, Missouri passed away September 13, 2018 at her home surrounded by her family. Funeral services will be 10:00 AM Tuesday, September 18, 2018 at Happy Hill Church of God in Butler. Visitation will be Monday evening, 5-7 PM at Mullinax Funeral Home (660-679-0009) in Butler. Burial will follow services in the Oak Hill Cemetery in Butler. Messages and memories for the family may be left at www.mullinaxfuneralhome.com. Sharon was born May 24, 1944 in Butler, daughter of Frank and Mildred (Pippin) Miller. She attended country schools during elementary years and graduated from Butler High School in the class of 1963. After high school, Sharon began working at Western Electric and later attended Cosmetology School in Kansas City. On July 5, 1964 she was married to Ronald Wainscott, and to this union two children were born. Sharon began her work as a lifelong Cosmetologist in Butler. On June 16, 1986 she was united in marriage to the love of her life, Tommy D. Everett at the Little Church of La Villita on the River Walk in San Antonio, Texas. Their love and dedication to each other was an inspiration to us all. Over the 32 years of their marriage, Sharon and Tommy took many trips together. Sharon loved to drive (fast! ), taking her and Tommy to many destinations including Chateau on the Lake and watching The Presleys in Branson, Missouri. Loving snow, Sharon particularly enjoyed snowmobiling and seeing the Elk in Jackson Hole, Wyoming. She and Tommy also went on cruises and vacations to Hawaii, seeing Maui and visiting Pearl Harbor. Sharon was the middle child of three girls, and she took on the role of her father’s “son.” Through this bond, Sharon became fond of raising and showing Quarter Horses. Sharon would go on to spend many years in horse shows, passing that love on to her son Darin, and granddaughter Lauren Jane. Later, Sharon and Darin began WE Ranch (Wainscott-Everett) Quarter Horses. Her fondest memories of horse showing were watching Lauren Jane compete, beginning in 4H and progressing to state and national levels. Sharon had a gift of decorating, a true creative flair. She helped many people decorate their homes, both inside and out. Walking into her home at Christmas was like opening a magazine. She fiercely loved her family, and passed on the importance of family gatherings and traditions such as Sunday dinners and playing Pitch. Sharon would award prizes for the winners, as well as the losers. Sharon loved shopping and outings with her lady friends, which included cruising to Kansas City (at a high rate of speed) in her Cadillacs. She was a member of Bates County Cattle Women, and was honored with Cattle Woman of the year in 2007. She was a member of the Bates County Career Women and believed in promoting hard work and the achievements of career women. Sharon and Tommy are members of the Happy Hill Church of God, and faith was truly important to Sharon and she instilled that in her family. Sharon valued her customers as patrons and friends. Sharon dedicated much of her time and money to fellow Cancer patients, assisting them with their appearance and furnishing wigs and other necessities. A two-time Cancer survivor, Sharon generously offered much guidance and advice to those suffering with Cancer. Many people benefitted from her services in the “Look Good, Feel Better” program. Sharon was preceded in death by her parents, and her son, Darin. She is survived by her husband, Tommy Everett of Butler; son Danny Wainscott and wife Jenny of Butler; stepdaughter Michelle Conley and husband Jay of Liberty, Missouri; stepson Bret Everett and wife Stacey of Cairo, Missouri; stepdaughter Rhonda Everett of Blue Springs; daughter-in-law Annie (Wainscott) McCarthy and husband Corey; grandchildren Kody Wainscott, Lauren Jane Wainscott, Garrett Wainscott; Kelsey Everett; Kyla Chandler and Kara Chandler; great-grandsons Jayce Torres and Roman Torres; great-granddaughter Ava Rae Sanchez; her sisters, Barbara Wayland of Butler and Patti Thompson of Gardner, Kansas; as well as many nieces, nephews and cousins. To send flowers or a remembrance gift to the family of Sharon Everett, please visit our Tribute Store. "Email Address" would like to share the life celebration of Sharon Everett. Click on the "link" to go to share a favorite memory or leave a condolence message for the family.